Looking for ideas for a party? Want to have your guests take part in a murder? 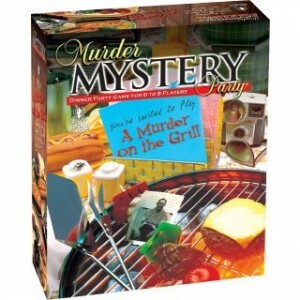 Murder Mystery Parties are back in full swing, and McCulloch’s has the kits to make yours a success that your friends will be talking about for years to come! Our Murder Mystery Party kits come with all you will need from invitations, place cards, recipes and menus, as well as character booklets for all suspects to know their roles and background information. Murder on the Grill- a 1959 themed cookout with Chubby Cheddar, Barby Q, Bobby Sox and Johnny Angel as a few of the suspects! Want to have a Mafia themed party with guests by the name of Rocco Scarfazzi, Tara Misu, Clair Voyant, Mama Rosa, Angel Roni, Bo Jalais and Father Al Fredo? 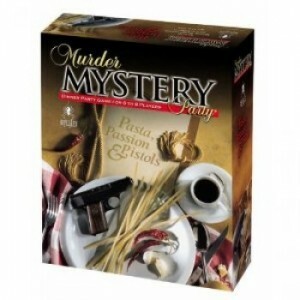 Buy our Pasta, Passion & Pistols Murder Myster Party Kit! Past, Passion & Pistols Murder Mystery Party Kit featuring Rocco Scarfazzi, Mama Rosa and Father Al Fredo as a few of the guests! October can be cold, so why not bring the beach to your living room and back yard? Hawaiian parties are always popular, but why not take it to the next level by adding some murder and suspicion to yours? 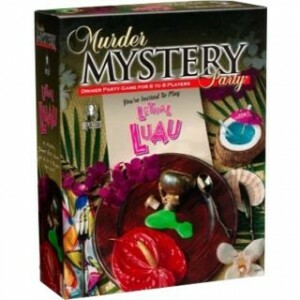 Lethal Luau Murder Mystery Party Kit featuring Nadia Seymour, Holly Day, Rip Tide and Les Baggs as just a few of the guests! We’ve got more Murdery Mystery Party Kits too! Honky Tonk Homicide, Murder on Misty Island, and A Murder at Mardi Gras. All kits are geared for 6-8 guests and come with a CD to provide and introduction to be played to your guests! For only $29.99 this party will not murder your pocketbook, just one of your guests! 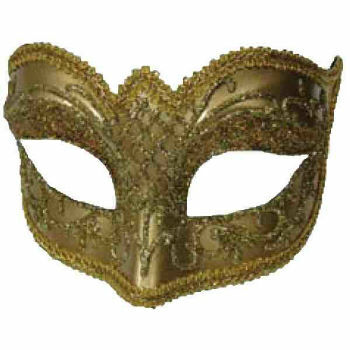 All of your guests will need to get dressed up for their character, and they can find whatever they need in our sales or rental departments. Tell them to come to the store with their character card and any of our dedicated sales associates will help them to look the part!